J.D. Power and Associates have published their 2012 Digital Single-Lens Reflex Camera Online Buyer Report. Responses were collected via PowerReviews - a social commerce network recently acquired by Bazaarvoice - and reflect the attitudes of actual DSLR camera owners who used an e-commerce site to make their purchase. According to the report, Pentax ranks highest in online buyer satisfaction with a score of 899 (on a 1,000-point scale), followed closely by Nikon (891) and Canon (888). The average price paid for a digital SLR camera has increased from $937 in 2011 to $1,291 in 2012, reflecting a shift towards more prosumer-oriented and semi-professional cameras. WESTLAKE VILLAGE, Calif.: 28 June 2012—Online buyers of digital single-lens reflex (DSLR) cameras pay $1,291, on average, for their camera, up from $937 in 2011, according to the J.D. 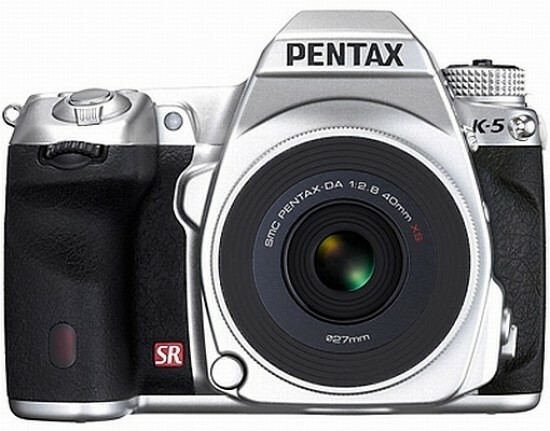 Power and Associates 2012 Digital Single-Lens Reflex Camera Online Buyer ReportSM released today. The report examines satisfaction with digital single-lens reflex camera brands among verified online buyers. Responses were collected via PowerReviews—a social commerce network recently acquired by Bazaarvoice—and reflect the attitudes of actual DSLR camera owners who used an e-commerce site to make their purchase. The study measures satisfaction with DSLR cameras across five factors (listed in order of importance): picture quality (including picture clarity, sharpness and color); durability and reliability (including damage resistance, battery life and sturdiness); variety of features (including zoom, image stabilization and low light settings); ease of operation; and shutter speed/lag time (overall speed of the camera, including shutter lag time). Pentax ranks highest in online buyer satisfaction with a score of 899 (on a 1,000-point scale), followed closely by Nikon (891) and Canon (888). Pentax performs particularly well in durability and reliability; variety of features; ease of operation; and shutter speed/lag time, while Canon performs well in the picture quality factor. Despite a shift in DSLR camera buyer demographics, overall satisfaction remains stable (888 in 2012 compared with 887 in 2011). The 2012 Digital Single-Lens Reflex Camera Online Buyer Report is based on responses provided to J.D. Power and Associates through PowerReviews from more than 8,100 verified buyers who purchased a DSLR camera online. The study was fielded from May 2011 through April 2012. Bazaarvoice, a leading social software company, brings the voice of customers to the center of business strategy for nearly 1,800 clients globally like Best Buy, Costco, Dell, Macy’s, P&G, Panasonic, QVC, and USAA. Bazaarvoice helps clients create social communities on their brand websites and Facebook pages where customers can engage in conversations. These conversations can be syndicated across Bazaarvoice’s global network of client websites and mobile devices, which allows manufacturers to connect directly with customers. The social data derived from online word of mouth translates into actionable insights that improve marketing, sales, customer service, and product development. Headquartered in Austin, Texas, Bazaarvoice has offices in Amsterdam, London, Munich, New York, San Francisco, Paris, Stockholm, and Sydney. For more information, visit www.bazaarvoice.com, read the blog at www.bazaarvoice.com/blog, and follow on Twitter at www.twitter.com/bazaarvoice.